It is ideal that problems, like a leaky roof, that posts market red flags to your home need to be repaired. In our over a decade of experience at House Sold Easy, one rule of thumb that we have observed is that a dollar unspent in repair of a home for sale equates with a $3.00 loss in the sale negotiation. Making the necessary repairs will also pave the way for a faster sale. 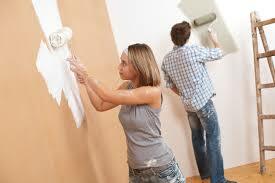 As a cleaner and problem-free house would logically attract more prospective buyers. In fact, one smart move to sell house fast is to have your home inspected first before listing it on the market. The inputs from your home inspector will give you a heads-up to the problems that serious buyers would want repaired after their own home inspection. With this advanced info, you can fix those issues prior to your sales listing and thus help speed up your home sale. Pre-inspection is advisable even for a well-maintained house that needs to be sold as quickly as possible. With this step, buyers are aware of what’s on the table right from the start and can factor in any needed repairs into their offer. With a disclosure of all known issues on your end, you can also avoid future claims or possible lawsuits from a buyer. If you don’t have the money or the time for home repairs, your only recourse is to price it realistically. More often than not, sellers unable to make their residences buyer-ready have no choice but deep-discount their house. In this case, you also have to make a listing disclosure that your house is a fixer-upper. You also have ensure too that your agent markets it as a home that requires upgrades, as reflected in its pricing. Another option is to work with a local realtor specialized in auction-style sales. But be sure that the one you partner with has the necessary experience and a well-established industry network. Otherwise, going by this route is bound to fail. If you have some equity in your home, one alternative is proposing to buyers that monies be escrowed to cover repairs. Sure you’ll end up with less money from the sale, but with this suggestion, your property would be more attractive to prospective buyers. A short sale is another possibility in case you don’t have money for repairs and don’t have equity on the house as well. If you can convince your lender to agree to a short sale, there is a greater chance of selling your house in disrepair. As real estate investors, we at House Sold Easy can offhand help you with our expertise in transactions involving short sales. We can give you a fair market price soon after our first viewing and offer cash payment for your property. Our team at House Sold Easy are professionals who are very upfront in dealing with homeowners who want to sell house fast. Whatever time or resources that they lack to do home repairs is covered up by our trustworthy approaches in home buying. Call us at 636-525-1566. We can work out a deal even if your house needs major repairs! Contact us today!